Cooper (Matthew McCounaughey) and his daughter Murphy (Mackenzie Foy then Jessica Chastain) live in a dystopian future where proper first names have gone extinct. Also extinct are most crops, forcing the remaining people to farm corn incessantly, living off the dusty land. Cooper is a reluctant farmer: by trade he’s an expert pilot and engineer. When an unexplained phenomenon leads him to a secret NASA base, he ends up piloting a mission to another galaxy to investigate new planets for people to move to from their ailing rock. This is Christopher Nolan’s most ambitious film to date, with the epic scale of its visuals matching its grandiose themes. Christopher Nolan once again delivers the spectacular visuals we’ve come to expect from his films, benefiting enormously from the amount he’s prepared to do for real. 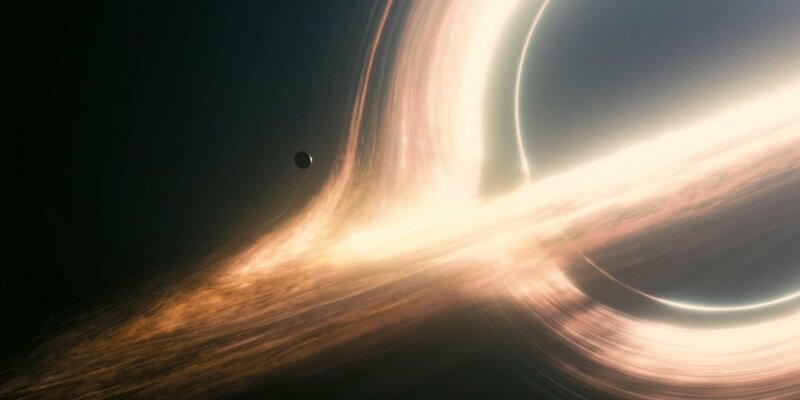 I watched this film twice, the second time in Imax, and both times what astounded by the awe-inspiring cinematography, which rivals Gravity in its depiction of space. The sweeping longshots of unexplored planets and the vast expanse of space show humanity’s insignificance next to nature. Two men fight as dots in the middle of an icy plain that rolls off into the distance, and the spacecraft they use drifts across the huge, empty space as a barely visible speck. This is amplified on the Imax screen, with the void of space stretching beyond your field of vision. With former Nolan collaborator Wally Pfister going off to direct his own films, new cinematographer Hoyte Van Hoytema is in town, and with visuals matching his previous movies, he clearly hasn’t missed the Pfister. There’s an impressive platter of sci-fi ideas on offer. Not only are there the obvious themes of humanity’s destruction of Earth and the exploration of space (accompanied by some complex and often speculative astrophysics) but the idea of truth and lies comes into play, examining whether a lie is acceptable in service of the greater good. This is something that was addressed in Nolan’s Dark Knight films, with the finale of The Dark Knight concluding that sometimes people deserve more than the truth, only for its sequel to flip this on its head and show the damage this caused. Nolan is a director who is keen to make you think, but rarely tries to tell you what to think, and as such is always surprising. 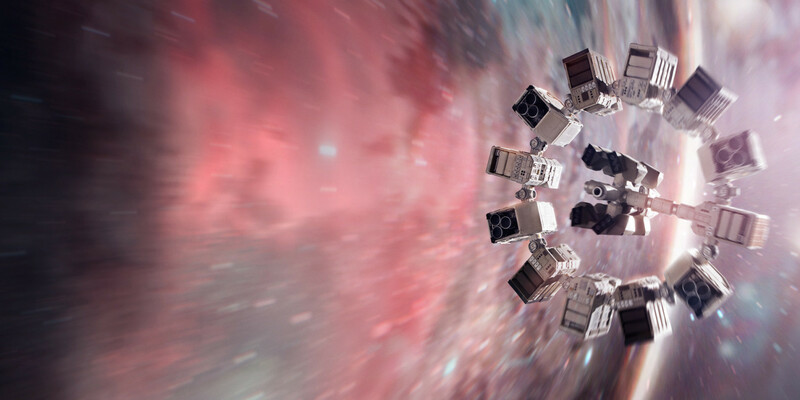 Hans Zimmer delivers a score that has more in common with 2001: A Space Odyssey than the rather samey soundtracks to the previous three or four Nolan films. He uses a full-on church organ to give that extra layer of oomph, an instrument which is thoroughly under-used in film scores, if you ask me. There are also excellent performances from McCounaguey, Chastain and Ann Hathaway giving this film enough depth to take its place as yet another modern classic from Nolan, and allowing him to continue his unbroken run of superb films.